Can games change the hearts and minds of decision-makers and healthcare providers in the U.S.? Can they fix the healthcare cost crisis? Tiltfactor’s RePlay Health project aims to do just that. 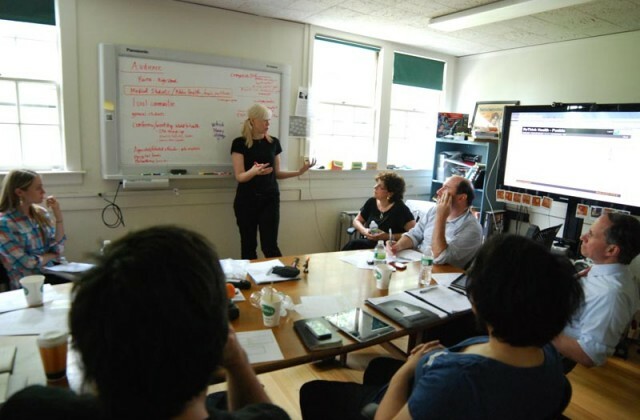 In conjunction with the Rippel Foundation and The Dartmouth Center for Healthcare Delivery Science, the Tiltfactor design team worked to model some of the elements of the ReThink Health simulation in a way that players could experience empathy and understanding for the many major players in the healthcare system. Through this game healthcare providers, policy-makers, and healthcare recipients can quickly and simply experience the state of our healthcare system, and the options we can pursue to change it. Through their decisions, players can interact with the causes and effects of big “what if” questions in healthcare. What if we paid healthcare providers differently? What if our hospitals ran more efficiently? What if everyone only went to the ER when they actually needed emergency care? RePlay Health provides a model of a simplified and abstracted health care system that acts as a vehicle for player chosen initiatives and changes to that system. In addition to a fun minute-to-minute play experience, the game allows players to pull levers within its model and see how health, productivity, and costs react. The components are downloadable, and the game can be played inside or outside, with 10-25 players and one or two moderators.